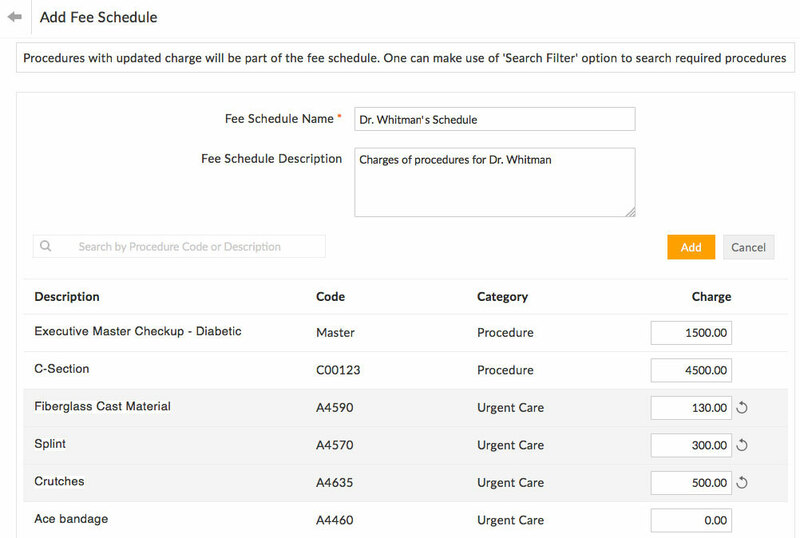 'Fee Schedules' enables practices to provide differential charges to Procedures. A Fee Schedule can be created with procedures for which differential charge is required. 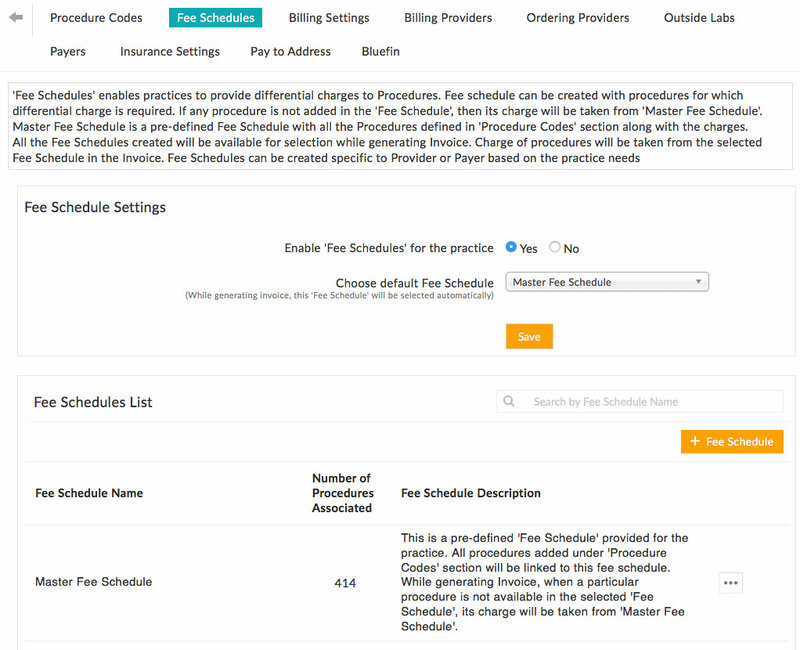 Fee Schedules can be enabled, created and updated from Settings ~> Billing ~> Fee Schedules. Master Fee Schedule is a pre-defined Fee Schedule with all the Procedures defined in 'Procedure Codes' section along with the charges. While creating a Fee Schedule, Procedures with updated charge will be part of the fee schedule.